Congratulations on your decision to run for state office in Colorado. Each year the Colorado FFA Association selects ten student members to represent the association as a state FFA officer. Throughout the year, this group has a variety of responsibilities. They are elected official s expected to represent the student membership during Executive Committee meetings. They are teachers of leadership and teamwork to regional FFA officers and chapter members. They are motivational speakers who will inspire members and non – members to heights they did not think they could achieve. 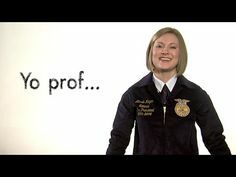 They are communicators and public relations specialists on behalf of the Colorado FFA Association building positive relationships across the state and across our nation. National Officer Candidate : upon request, this form is obtained from the state advisor.